AirAsia announced today, Sunday, that it will open direct flights to Taipei from Manila and Cebu starting next month. To celebrate the opening of the new routes, the airline offers on airasia.com promo fares for as low as P888 out of Cebu and P1,488 out of Manila to Taipei for tickets bought until October 16, 2016. The three times weekly Cebu-Taipei service will start on November 25 while the daily Manila-Taipei service will begin on November 21 this year. Travel period for the Taipei seat sale is from November 25, 2016 for Cebu and November 21, 2016 for Manila up to March 25, 2017. “In anticipation of the influx of tourists and travellers to Taipei following the recent easing of visa rules for Filipinos, we are thrilled to announce that AirAsia is launching direct flights to Taipei from our hubs in Manila and Cebu this November with promo fares now available online and through our partner travel agents nationwide,” Philippines AirAsia chief executive officer Dexter Comendador said in a statement. Taiwan has made it easier for Filipinos, along with citizens of Cambodia, Indonesia, Laos, Myanmar, Vietnam, and India, to get a visa. The Taiwan Economic Cultural Office (TECO) released a statement saying passport holders from the Philippines and several other countries are now eligible to apply online for a Taiwan travel authorization certificate free of charge. The new policy applies as well to passport holders from Cambodia, India, Indonesia, Laos, Myanmar and Vietnam and those who are permanent residents of Australia, Canada, Japan, South Korea, New Zealand, Schengen Agreement signatories, United Kingdom, and United States or hold a visa or a resident card from one of these countries that is either valid or expired within 10 years from the date of expected arrival in Taiwan. Earlier, AirAsia announced that it will add one daily flight between Manila and Kuala Lumpur starting October 30 on top of its current twice daily flights and increase flight frequency between Cebu and Kuala Lumpur from three to four times weekly effective October 29. AirAsia will depart daily from Manila every 11:05 p.m and arrive in Taipei at 1:10 a.m. Return flight schedule is daily at 1:35-3:45 a.m. The Cebu to Taipei flights is every Wednesday, from 6:35 to 9:25 a.m., and from 6:10 to 9:05 a.m. every Friday and Sunday. Return flights is 10:20 a.m.-1:10 p.m. every Wednesday, 10:10 a.m.-1:00 p.m. every Friday, and 10:30 a.m.-1:20 p.m. every Sunday. New and returning visitors to Taipei can expect to experience warm local hospitality and enjoy some or all of its iconic attractions. Taipei 101. This is the icon of Taipei and the city’s most prominent centre. This ultra-modern structure has 101 floors of shopping heaven, conference venues, offices, restaurants, as well as outdoor and indoor observatories. The top of the tower offers a stunning and unobstructed view of Taipei. Night markets. 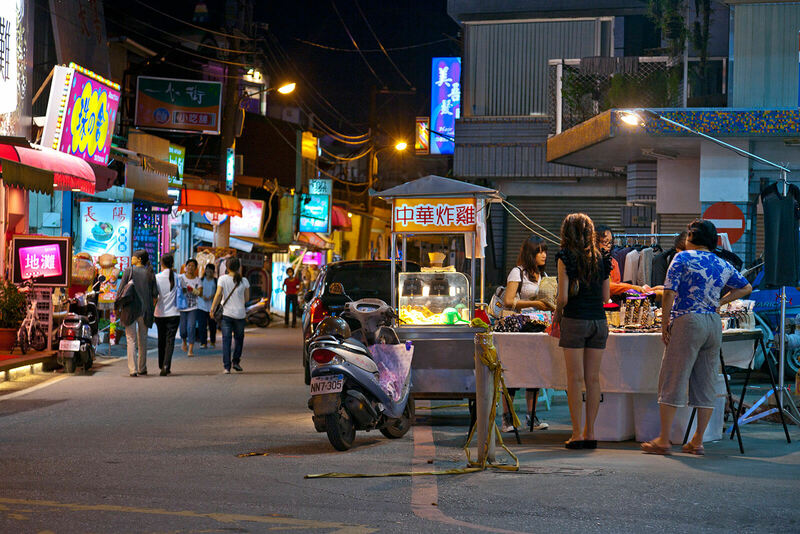 There is a plethora of night markets in Taipei but the most famous is the Shilin Night Market. Food lovers can scour the 539 food kiosks in the food court offering a wide selection of cuisine. Other attractions include movie theatres, video arcades, shops, and karaoke stores. National Chiang Kai-shek Memorial Hall. Built as a memorial to the former president of the Republic of China, the hall and square is now the hub for cultural events. Within the vicinity are the National Concert Hall and National Theatre, which had housed performances by Yo-yo Ma, Vienna Boys Choir, and even the late Luciano Pavarotti. Taroko Gorge. Just a two-hour train ride from Taipei is the Taroko National Park, where the gorge is located. Taroko Gorge is known for its magnificent natural beauty and abundant supply of marble. Visitors can explore nature and many natural sights, including the Eternal Spring Shrine, Swallow Grotto, and Buluowan Village. Wufenpu. Shopaholics will wander happily around Taipei’s main wholesale garment market, which sells the latest fashion trends at bargain basement prices. The shops are open daily from morning to midnight, and haggling is a skill that will take you far when you are roaming the streets of Wufenpu.